We were the first to offer dry ice blasting in Calgary. Our services are safe, clean and cost-effective. Ice Jet is pleased to offer dry ice blasting services across southern Alberta, the latest and most versatile method for industrial cleaning. Ice Jet was the first to offer this service in the Calgary area, and we have the most experience. Dry ice blasting is similar to other industrial cleaning methods such as sandblasting, bead blasting or soda blasting. 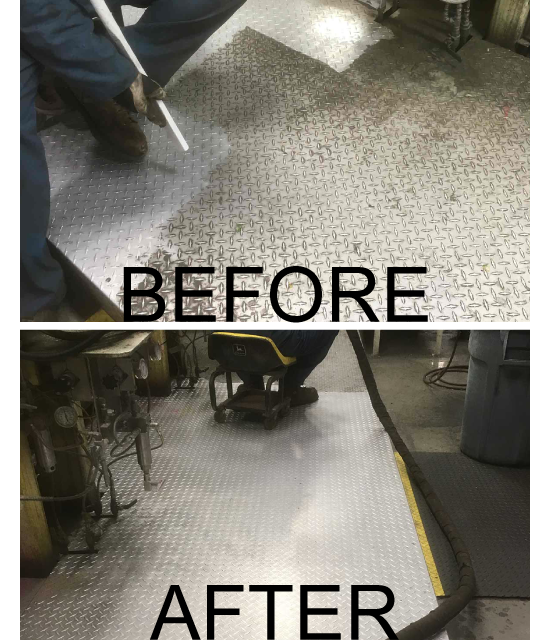 Unlike those methods, a cleaning media is accelerated in a pressurized air stream to impact the surface that is to be cleaned. Small particles of dry ice turn into CO2 gas upon impact, which is an environmentally friendly gas found in our atmosphere. Unlike most other blast media, which leave behind secondary waste, dry ice sublimates (vaporizes) upon impact with the surface, removing the contaminant and leaving the surface clean and dry with no residue. Also, because dry ice vaporizes upon impact, the process is the perfect way to clean equipment that contains complicated cavities, in which other forms of blast media will become trapped. 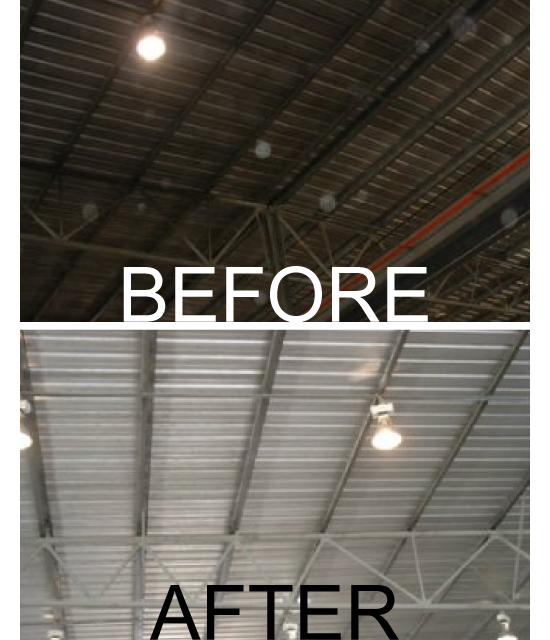 Dry ice blasting cannot cause water damage, does not conduct electricity and does not create a mess. It is 100% environmentally safe. Please contact our office to schedule service at your home or business. Dry ice blasting is the perfect technique for cleaning around delicate electronic components and large-scale industrial equipment. Reduce the expenses associated with restoring your fire-damaged property using our dry ice approach. 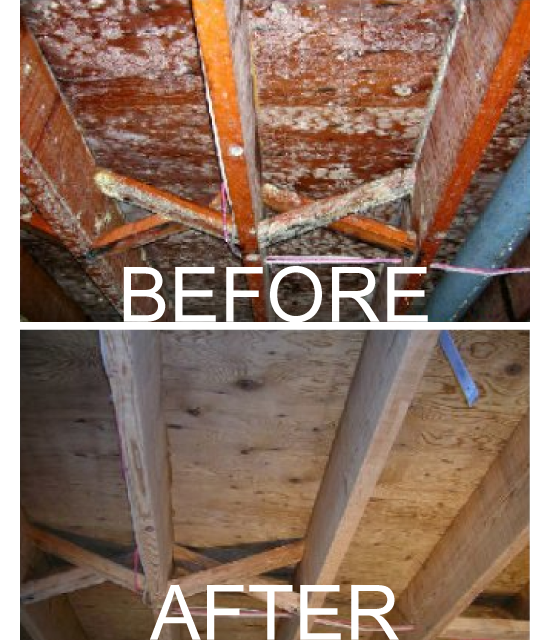 Eliminate all traces of mold from even the tiniest nooks and crannies of your home with our qualified expertise.